After completing an Honours Bachelor of Science degree in kinesiology and health science from York University, Canada, Michael moved to the US to complete his 4 years Doctor of Chiropractic degree. 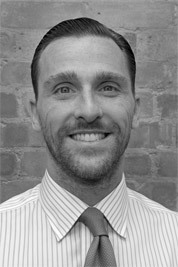 Michael then moved to London and practiced for 12 years in a private clinic on Harley Street. Michael finally opened The St James Clinic in March 2014. Although an established profession, Chiropractic is not always fully understood. Chiropractic focuses on the diagnosis and treatment of dysfunctions of the musculoskeletal system and their effects on other systems of the body and general health. Chiropractic is most often sought for headache, neck pain, lower and middle back pain. However, it can also help to treat many more disorders. At The St James Clinic, we are equipped to diagnose tendon, muscle and ligament injuries and to assess injury of the extremity joints – shoulder, elbow, wrist and hand; hip, knee, foot and ankle. The Gonstead concept of Chiropractic was established in 1923 by Clarence Selmer Gonstead (http://en.wikipedia.org/wiki/Clarence_Gonstead). Clarence Gonstead created an alternative and innovative way to analyse the spine thank to his mechanical engineering background. He then developed a methodology for the appropriate corrective clinical steps. Analysis includes thermographic instrumentation, digital and motion palpation, postural observation and x-ray assessment. The correction is in the form of a specific spinal adjustment only. The specific nature of this correction ensures safety of treatment and speeds up a patient’s rate of recovery.